Enamelware first came about in the 1760’s in Germany and was invented to stop metallic tastes and rust getting into food when cooking. The enamel usually lined the inside of the pot or kettle which was made from iron and used over a fire or on a wood stove. No longer dedicated to the arts and crafts, enameling became a vital part of the iron-works industry making food-safe vessels. Soon after the original enameling practice started, vitreous enamel, also called porcelain, was becoming popular in other European countries around the world. 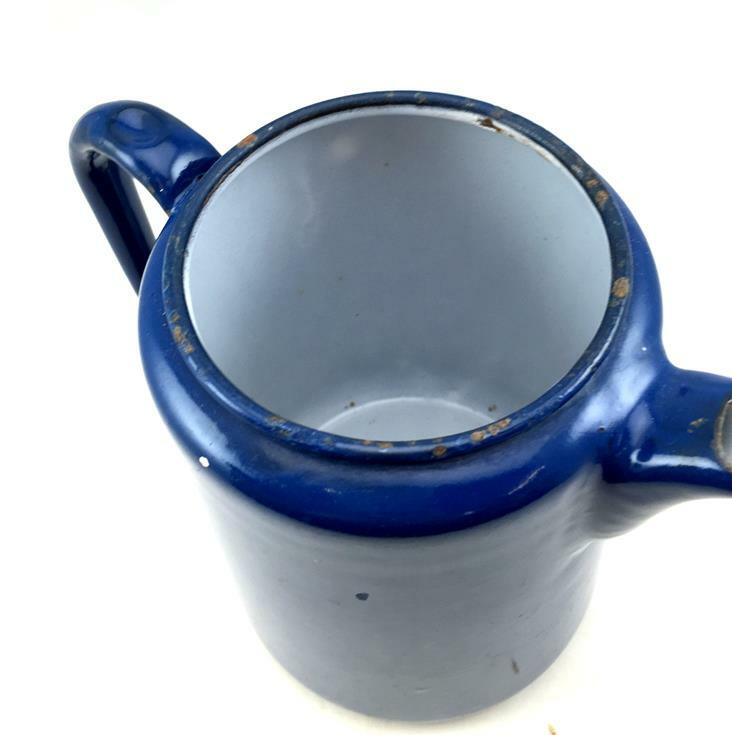 Over the next few decades enamelware became the norm for domestic pots and pans even with some people concerned about poisonous chemicals they believed to be in the enamel but these claims were never substantiated. This process is made by fusing powdered glass to a metal by firing at a super high temperature and as the glass powder melts, it then hardens to a smooth glossy finish which seals away the metal and saves food from any interaction with rust or other toxins. 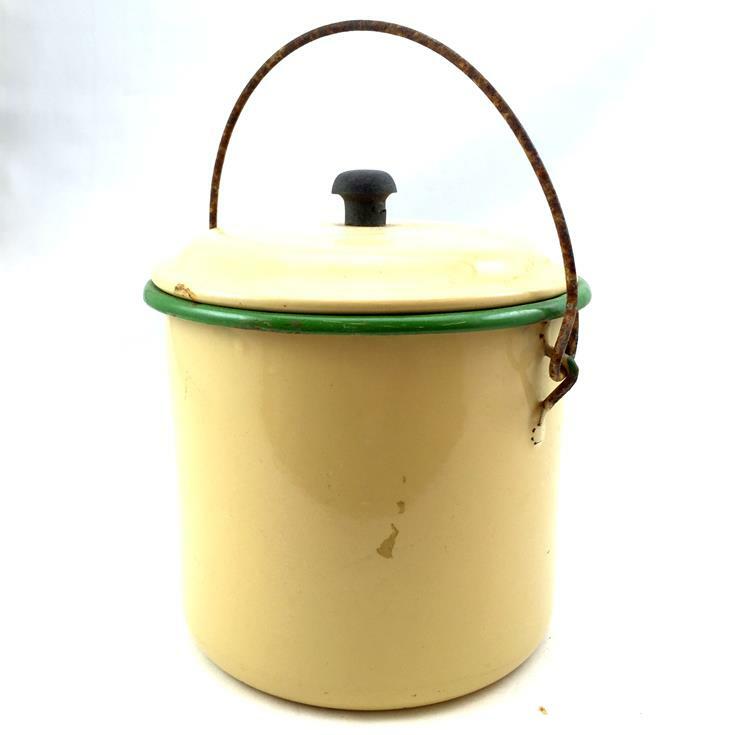 Enamelware remained at the forefront of cookware technology and advances were made to improve the bonding and temperature tolerances right up until the early 1900’s. At this time, other metal products were engineered which were considered just as good as enamel. Now, enamelware is very collectible and used in vintage-styled kitchens around the country. 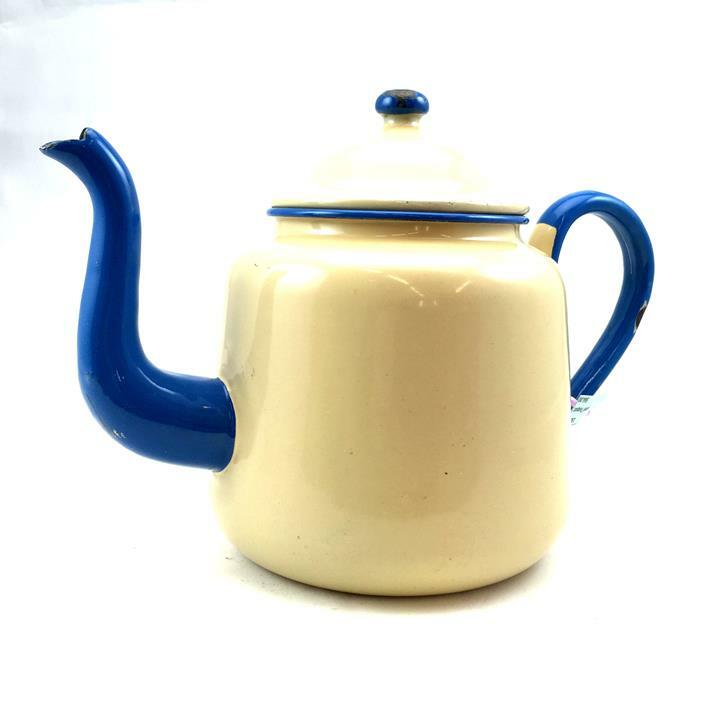 We have a large range of kitchenalia which harks back to the golden age of enamel – see it in store or our online gallery shop.